The french journalists from the Caradisiac auto portal had the opportunity to test Dacia Duster two weeks before the launch on the Geneva Auto Motor Show on March 2. Their verdict is positive. Although the French have not tested the car in the true sense of the word, the first impressions about Duster, are very positive. The first impression: Duster looks better in reality than in pictures. "Even if Duster is not very photogenic, the reality is different because the model is rather successful. It has a highly individual design that distinguishes it from the rest of the Dacia range. 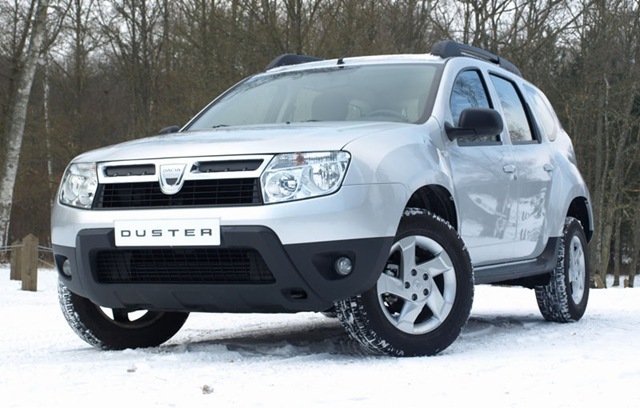 If you mask the Dacia logo it is almost impossible to identify Duster to a model of the Romanian car manufacturer, even if certain elements are borrowed from the rest of Dacia models" said the French, referring especially to the doors taken directly from the Sandero. Obviously, the journalists from Caradisiac did not forget to emphasize the practicality of the Romanian model, claiming that the passenger space is generous and the trunk comes with a capacity that satisfies everyone, oscillating between 475 and 1600 liters. In terms of engine, the french journalist agree that the 1.6 liters and 110 HP gasoline engine or the 85 HP and 110 HP diesel engines are more than enough to power the lightest model in the segment.